Our outdoor furniture shop is located in the very centre of Dubai, near the Mall of Emirates. 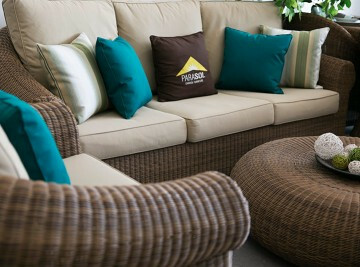 In our outdoor furniture showroom we have a huge collection of designs and products. We can give you professional advice concerning design, help you choose everything for outdoor furniture including cushions. We try to keep collections in stock, so if you need anything that would go well with other products from us, you can always find it in our outdoor furniture showroom. We provide free and quick outdoor furniture set delivery in Dubai. Often we can even deliver your set on the same day as purchased. If you’re far from Dubai, there’s a small delivery charge. We want to make it easier for you to decide if the furniture set meets your needs, so we offer a free home trial for 2 or 3 days. If you can’t choose between two tables, for example, we can bring them both to your place; it’ll be easier to decide.